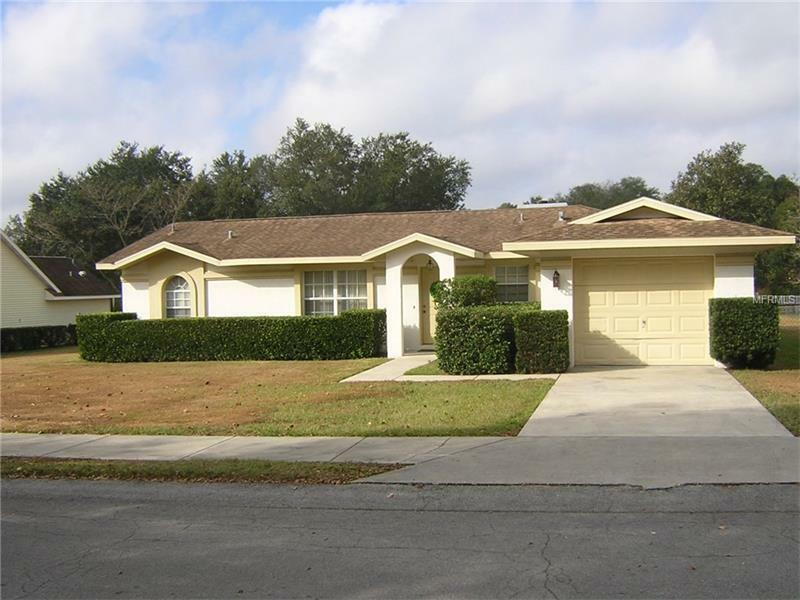 13311 Omega Court Dade City, FL. | MLS# E2203950 | Real Estate Sales & Property Mangement in Dade City, San Antonio, Wesley Chapel, Brooksville, Homosassa, & Bushnell. Immaculate 3BR/2BA, 1993 block home. Located on .34 acres in Dade City. This home features a family room with fireplace, fenced backyard, screened patio & 1 car garage. New carpets in bedrooms & new laminate floor in Lv/Dn/Kit/Fm rooms. A/c new in 2012. A Must See! Copyright © 2019 Mid Florida MLS. All rights reserved. The data relating to real estate for sale on this web site comes in part from the Internet Data Exchange Program of Mid Florida MLS. Information provided is for consumer's personal, non-commercial use and may not be used for any purpose other than to identify prospective properties consumers may be interested in purchasing. Sunshine Realty Company, L.L.C. participates in the MFRMLS Internet Data Exchange (IDX) program, allowing display of other MFRMLS broker's listings on this site. However may not include all listings currently available. Information is deemed reliable but not guaranteed. Information last updated at 2019-04-24 17:44:18.